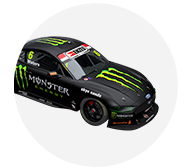 There will be plenty of focus on the #55 Supercheap Auto Ford Falcon FG X this weekend, with Chaz Mostert returning to V8 Supercars. The young gun will race for the first time after his severe Bathurst crash and injuries, and teams up with a new right hand man in engineer Brad Wischusen. Wischusen ran David Reynolds last year, and worked with a range of drivers before shifting to Prodrive Racing Australia for 2015. After working with Mostert at the team’s Winton test last week, the pair is ready to take its best shot on the streets of Adelaide. “It’s really exciting to work with him – he’s obviously shown a lot of speed since he’s been in the category,” Wischusen told v8supercars.com.au. The teams will run the soft tyre for the first time at the Clipsal 500 tomorrow in practice and one qualifying session, which Wischusen predicts will be up to eight-tenths quicker around the circuit. Wischusen explained the ins and outs of the Adelaide Parklands street circuit and the weekend’s format, ahead of practice and qualifying tomorrow at the Clipsal 500 tomorrow. It rewards the brave and punishes mistakes – the Adelaide Parklands street circuit always guarantees action-packed V8 Supercars racing. Wischusen describes the 3.2km track as one with a little bit of everything, and then, throw in the sweltering temperatures expected over the coming days. “It’s got kerbs, it’s got 90 degree corners, it’s got two very low speed corners in turn nine and 14 and obviously a very high speed corner at turn eight,” he said. Having debuted the FG X at the circuit last year, it was a learning process for the team in 2016. There’s more confidence for the Clipsal 500 this weekend. “With our cars we’re coming here a bit more sorted than we did from Adelaide because last year was the first year with the FG X,” Wischusen said. 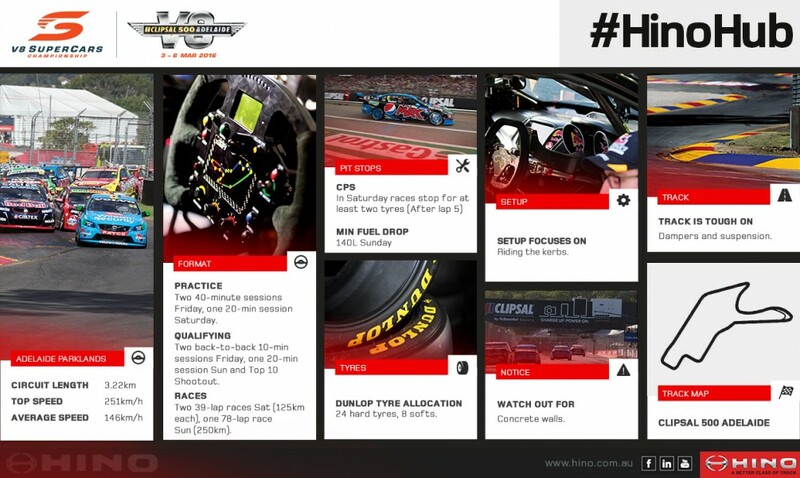 The physical track and heat in the car is had on drivers but what about the V8 Supercars? The track is tough on the suspension. “With the kerbs it’s dampers and suspension components – you can bend wishbones or dampers, so usually the mechanics are checking that stuff over between runs and between sessions,” Wischusen said. “It can affect our cars a lot if you bend dampers, you can lose cross-weight, lock tyres and stuff like that. With a generous tyre allocation this weekend, practice should give an indication of form. The soft tyre has never been run in Adelaide before and will be used in the first race and qualifying sessions of the day, as well as practice. The lap record – a 1min20.0084 set on the hard tyre by Shane van Gisbergen last year – should be beaten on the softer rubber. “Obviously race one is a soft tyre race, which no one’s really sure about yet, but probably expect it to be eight-tenths quicker but obviously no soft tyres have been run in Adelaide yet,” Wischusen predicted. There are no restrictions during practice, with teams allowed to use either compound when they like during the two 40-minute practice sessions. Both races on Saturday have a compulsory pit stop, with teams required to change at least two tyres. Wischusen said the decision to go for two or four tyres would come down to track position and would be worth taking note of when watching at home. “It’s based on where you are on track relative to who you’re racing against,” he said. “So if you think you’re trying to jump someone you’re very close to, you might take two tyres. Sunday’s 78-lap race has a 140-litre minimum fuel drop, which takes at least two stops to complete. At a concrete canyon like Clipsal, Safety Cars are almost guaranteed. No race has ever had a 100 per cent finishing rate. “Obviously it requires two stops [to meet the minimum drop]. In Adelaide you can sometimes make it a three stop race, depending on Safety Cars,” Wischusen explained. “There’s generally Safety Cars everywhere throughout the Sunday races, so you can potentially take fuel in hand to take a third stop and make your final stop quicker. “Generally it depends on which part [of the race] and where you’re running in the pack. If you’re down the back you might be able to take a lot more fuel, and take safety cars each time to make your last stop short. A stop around lap 40 should ensure enough fuel to make it home. 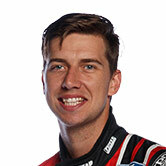 The V8 Supercars practice and qualifying tomorrow at the Clipsal 500. V8 Supercars returns to your screen on FOX SPORTS 506 and Ten HD from Friday. Click here for full TV times.